Fisher Price Little People CRUELLA DE VIL 101 Dalmatians Car NEW! Imagine the Disney villain you love to hate - Cruella de Vil - as a Little People character! Now put her in her classic car with a Dalmatian named Patch, and kids can recreate familiar scenes from the Disney classic 101 Dalmatians" movie - or create new adventures of their own. 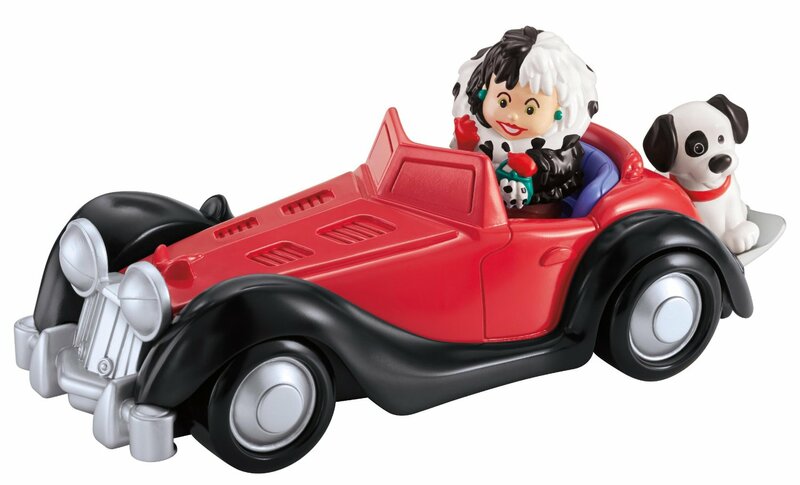 To bring the fun to life (and help little ones discover cause & effect), place Cruella in the driver's seat and press to hear fun sounds and a song! Requires 2 AAA batteries. 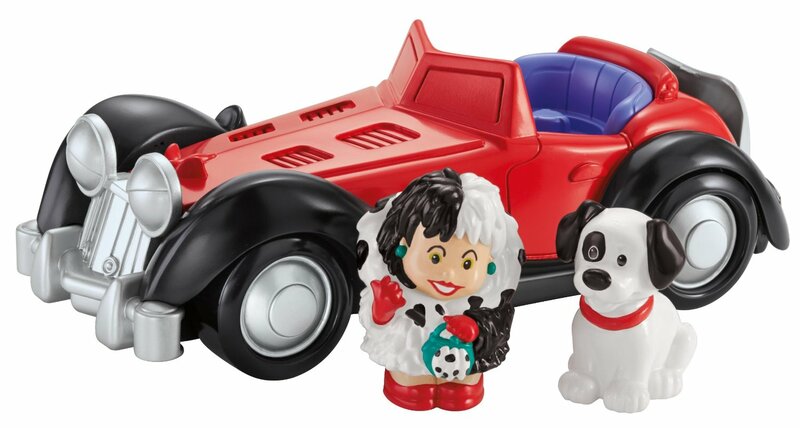 Kids discover cause & effect when they place Cruella in the driver's seat and press to hear fun sounds and a song! Kids will enjoy recreating familiar scenes from the Disney classic "101 Dalmatians" movie - or creating new adventures of their own! Brand new and never removed from the box which has a small TEAR!